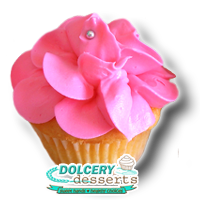 American Beauty ~ Delicious golden cake, filled with vanilla butter cream, iced with flowered vanilla petals, finished with a candy coated pearl. 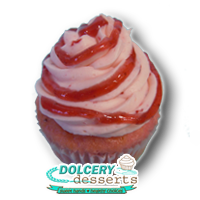 Berry Berry Good ~ Extra-moist strawberry cake, bursting with soft strawberry puree, enrobed with vanilla butter cream mixed with freshly ground strawberries, thinly glazed with strawberry puree. 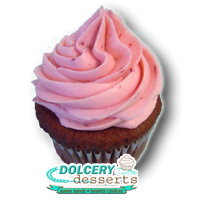 Black and White ~ Extra-moist strawberry cake, bursting with soft strawberry puree, enrobed with vanilla butter cream mixed with freshly ground strawberries, thinly glazed with strawberry puree. 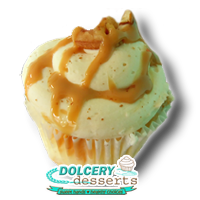 Caramel Dolce ~ Scrumptious vanilla cake, bursting with delicious dulce de leche, slathered with vanilla icing, drizzled with rich dulce de leche, and finished with a homemade toffee chip. 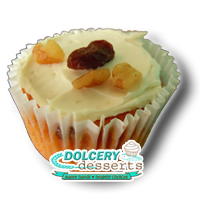 Crazy Carrot ~ Delicious pecan and raisin carrot cake. 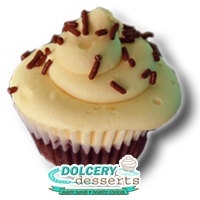 Filled and slathered with rich creamy cream cheese. 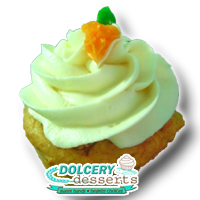 Topped with fun-filled crazy carrot art. 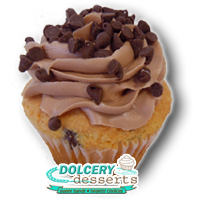 Choco Chip Chip ~ Scrumptious golden cake bursting with mini chocolate chips, stuffed with our secret chocolate dream filling, enrobed with chocolate butter cream, and topped with miniature chocolate chips. 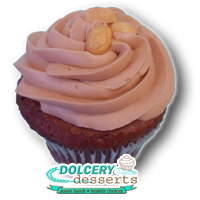 Choco Choco Bday ~ Chocolate bash cake. 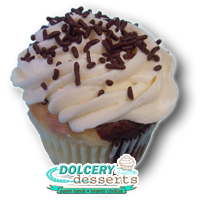 Filled and slathered with rich chocolate icing. Candied with colored sprinkles. 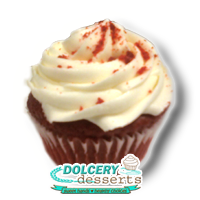 EZ Red Velvet ~ Traditional red velvet cake, filled and slathered with rich creamy cream cheese, and dusted with red velvet crumbs. 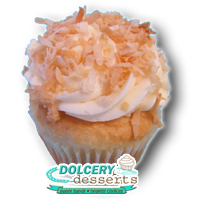 Loco Coconut ~ Tasty coconut cake, filled with coconut vanilla cream, slathered with savory coconut icing, rolled in toasted coconut. 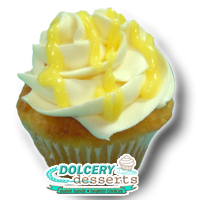 Luscious Lemon ~ Luscious lemon cake, fluffed with selectable lemon curd, silked with vanilla buttercream and drizzled with luscious lemon curd. 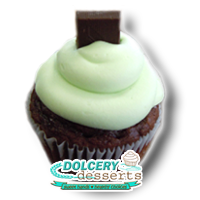 Minty Party ~ Moist chocolate cake, stuffed & smoothed with minty fresh icing, topped with a fresh chocolate mint. 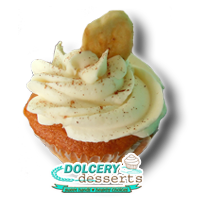 Monkey Nah Nah ~ Brilliant banana cake, filled with our secret banana cream, silked with aromatic banana buttercream, finished with a crispy banana chip. 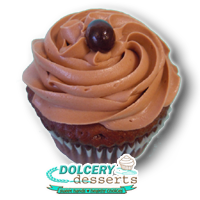 Muy Mocha ~ Delicious chocolate cake infused with coffee, fluffed and silked with mocha butter cream, topped with a chocolate covered coffee bean. 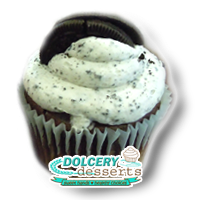 Ohh the Oreooo ~ Moist chocolate cake, filled & covered with Oreo crumbs vanilla cream, and topped with an authentic Oreo cookie. 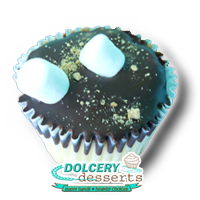 Smores ~ Rich chocolate cake, puffed up with silky marshmallow, lightly dipped in dark chocolate ganache, topped with two marshmallows, and dusted with graham crackers. 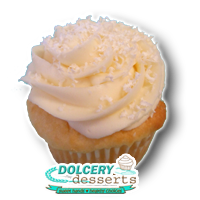 Vanilla Lovers ~ Secret-recipe white cake, with a fabulous vanilla dream filling, covered with lovely vanilla buttercream. 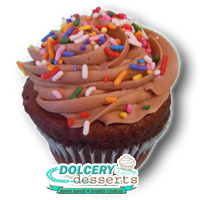 Chocolate Gluten Free ~ Chocolate gluten-free cake, draped in rich chocolate butter cream. 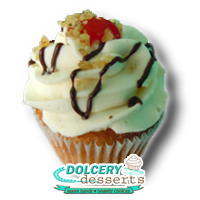 Low Cholesterol Carrot ~Low-Cholesterol Moist Carrot cake, smoothed with tasty no-cholesterol creamy cheese cream, finished with chewy raisins and crunchy walnuts.